Milestone XProtect Essential+ is a free full featured version of Milestone's market-leading video management software (VMS). With support for 8 camera, XProtect Essential+ is the perfect match for the small business owner who wants video surveillance to protect employees and assets. You can integrate other systems and applications with your surveillance, and you can access your system from any Internet-enable device. Milestone 1 Year Care Plus for XProtect Express Camera License. Milestone 2 Years Care Plus for XProtect Express+ Device License. 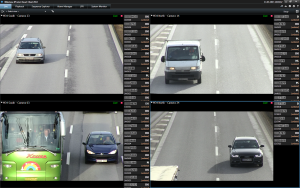 Milestone Systems XProtect Express IP video managment software has support for up to 48 cameras, is easily affordable for small businesses particularly for retail that want to video enable their surveillance installation. Due to the software's open platform environment businesses are able to seamlessly integrate solutions, if you have separate solutions that you want to video enable XProtect Express is an easy way to integrate them and work with one common interface. As well as this it can easliy integrate current systems to create a video-enabled solution. XProtect Express has advanced features that enable set up and managing your installation simple. With support for basic alarm management and a single layer map, Express is suited for smaller businesses that primarily need to capture video recordings of incidents and re-actively conduct investigations. Milestone 3 Years Care Plus for XProtect Express+ Device License. Milestone 5 Years Care Plus for XProtect Express Camera License. Milestone 5 Years Care Plus for XProtect Express+ Device License. Milestone XProtect Access is an add-on product compatible with Milestone VMS products. 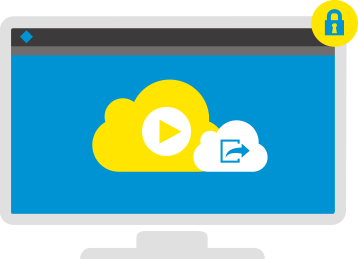 Video enable your access control and experience the benefits of combining video with access control. This products enables a single physical door in XProtect Access and needs to purchased alongside the Access Base License. Milestone 3 Years Care Plus for XProtect Professional Camera License. 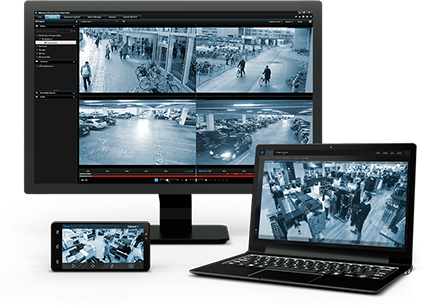 Milestone Systems XProtect Express IP video managment software, is easily affordable for small businesses particularly for retail that want to video enable their surveillance installation. Due to the softwares open platform environment businesses are able to seamlessly integrate solutions, if you have seperate solutions that you want to video enable XProtect Express is an easy way to integrate them and work with one common interface. 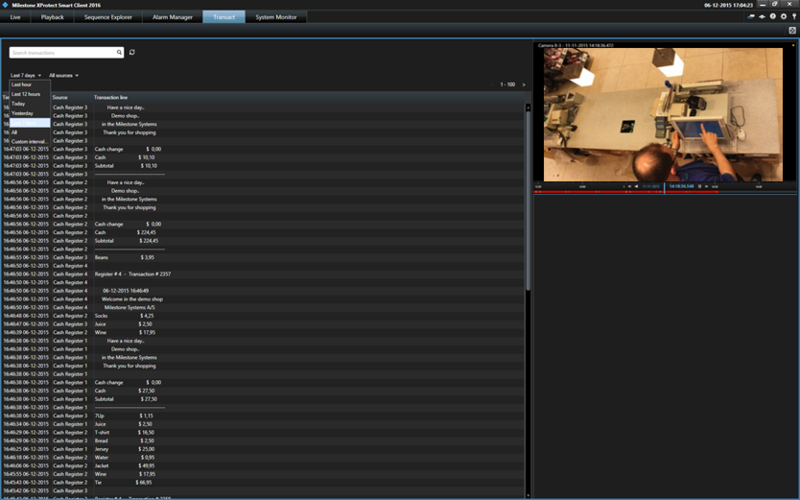 As well as this it can easliy integrate current systems to create a video-enabled solution. XProtect Express has advanced features that enable set up and managing your installation simple. This Milestone XProtect Express IP Camera License requires Milestone XProtect Express Base License to enable you to use this camera license. 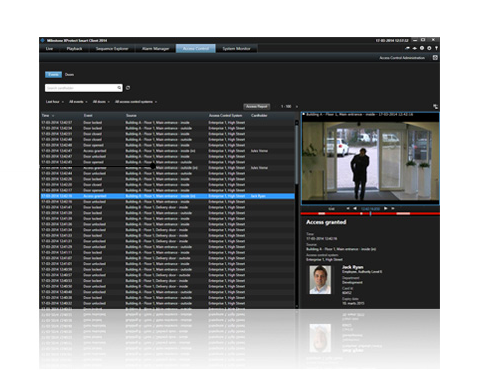 Milestone Systems XProtect Professional is a comprehensive open platform IP video management software for mid-sized installations that supports unlimited IP cameras per server. This software is ideal for installations with a large number of megapixel and HD cameras as it has support for up to five servers. This Milestone XProtect Professional IP Camera License requires Milestone XProtect Professional Base License to enable you to use this camera license. Milestone XProtect Transact is an add-on for use with Milestone video management software that extracts transactional data from point-of-sale, barcode scanning systems and other data systems and pairs this with video from the time of transaction. Milestone XProtect Transact is an add-on for the Milestone VMS and Husky series matching individual transaction events with corresponding video. This products enables users to discover the benefits of pairing video with transaction information. This base server comes with 1 connection license included. Milestone Systems XProtect Professional is a comprehensive open platform IP video management software for mid-sized installations that supports unlimited IP cameras per server. This software is ideal for installations with a large number of megapixel and HD cameras as it has support for up to five servers. XProtect Professional helps extend the performance of your hardware with its performance-enhanced capabilities such as support for multiple servers, dual streaming and improved motion detection. Milestone XProtect LPR is an add-on for the Milestone VMS and Husky series that reads license plate information from vehicles and links the license plate information with video. This software offers a number of powerful applications and is ideal for use by; petrol stations, car parks and tolls etc. This license must be used with the LPR Base License. One LPR camera license is needed per camera stream. The HM20-2T-8P is a sleek, compact and serviceable NVR that comes with Milestone's Xprotect software as standard, it supports as standard 8 IP cameras recording 10fps at 1920x1080 for 45 days (straight out of the box set-up & at 20% motion-based recording). This model features 16 camera licenses as standard which is the maximum number of devices it can handle, This model also features PoE+ across all Ethernet ports and has a total power budget of 250W. Other features include alarm I/O ports (4 in & 4 out), easily accessible HDD bays for the customer to service, replace or upgrade the hard drives in their system and support for PTZ controls. RAM : 16GB The HM50-16TR-8 is a sleek, compact and fanless NVR that comes with Milestone's Xprotect software as standard, it runs as standard 8 IP cameras recording 10fps at 1280x720 for 37 days (you can run at 2048x1536 but for only 14 days). This model features 8 camera licenses as standard but can be upgraded to handle a max. of 80 (althought your storage space would be severely limited), This model also features RAID10 data protection. RAM : 16GB The HM50-32TR-8 is a sleek, compact and fanless NVR that comes with Milestone's Xprotect software as standard, it runs as standard 8 IP cameras recording 10fps at 1280x720 for 37 days (you can run at 2048x1536 but for only 14 days). This model features 8 camera licenses as standard but can be upgraded to handle a max. of 80 (althought your storage space would be severely limited), This model also features RAID10 data protection. RAM : 16GB The HM50-48TR-8 is a sleek, compact and fanless NVR that comes with Milestone's Xprotect software as standard, it runs as standard 8 IP cameras recording 10fps at 1280x720 for 37 days (you can run at 2048x1536 but for only 14 days). This model features 8 camera licenses as standard but can be upgraded to handle a max. of 80 (althought your storage space would be severely limited), This model also features RAID10 data protection.